It is only when you translate your sublime ideas into reality and help others to see a virtue for themselves that you become a true leader. Wish to see how the true leaders dedicated their lives to become leaders? 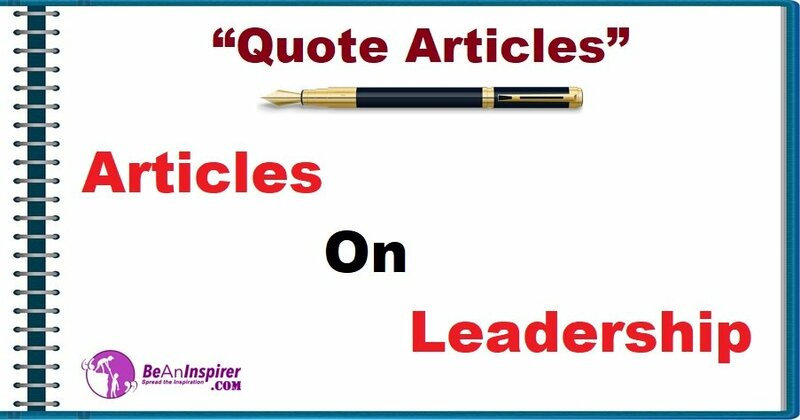 Please check the Quote Articles to see what the famous personalities like Bill Gates, Martin Luther King Jr etc. had to say about leadership and various other Articles on Leadership, combined with nature photographs.